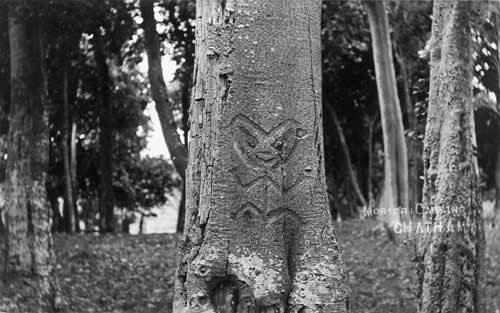 Moriori ancestors made carved images on the trunks of kopi (karaka) trees. Many of these carvings, or dendroglyphs, survive today. They have powerful spiritual associations, although their meanings are debated.